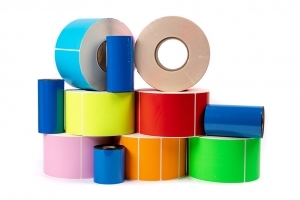 Kroy Labels produces high-quality and low-cost thermal labels and ribbons for all of your needs. Our products can withstand various ranges of temperatures, making them perfect for many different environments and applications. 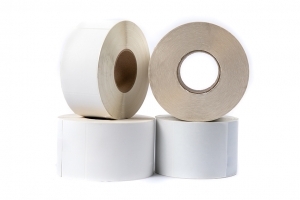 Our labels and ribbons are compatible with Zebra, Intermec, Datamax, Sato, Printronix and a variety of other thermal printers. We also offer both roll and fanfold formats so you can pick the item that will work best for you. Buy Your Labels Factory Direct ! Thermal transfer labels always require a thermal ribbon. The carbon ribbon is melted onto the label, resulting in durable and long-lasting labels. 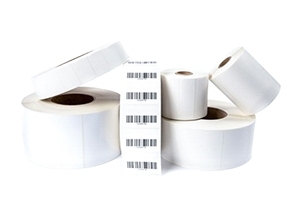 Direct thermal labels don’t require any ink or ribbons to print. Instead the ink is exposed from the heat of the thermal print head. Kroy offers industrial, desktop, and fanfold sized direct thermal labels. 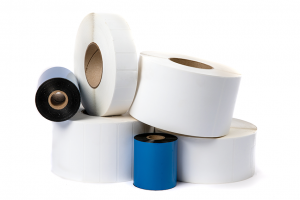 Our thermal transfer ribbons are compatible with a variety of printers and are durable, effective, and offered at a low price. Kroy Labels makes freezer grade labels that can withstand various temperatures while maintaining a strong stickiness. Kroy Labels’ auto apply labels are non perforated and are offered in 12″ outside diameter. 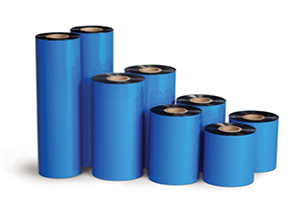 They are perfect for machine applied label applicators.